Well, the last poll has closed and I've gotten a whole lot of useful data to help tailor TFH so I'm meeting the requirements of the readers. Basically, I'll be adding both Modelling For Hippos and Painting For Hippos; modelling will get preference as more people voted for it. I'll still be doing most of the terrain in 28mm, but 15mm is popular, and there's some interest in 6mm, so I'll be getting some smaller scale things built along the way. Finally, the majority of readers play SF games, followed by fantasy. I've already noticed this and tried to get more SF up (remember SF month?). The historical period votes have been interesting - a lot of people are playing world wars; more than Steampunk, which suprised me for some reason (I guess I never thought I had so many historical gamers popping by!) I suppose it's probably flames of war, so I'll try to get 15mm WW2 stuff happening, but I'll try to get other world war things going. I'll also try to get some napoleonic terrain happening, along with some medieval and dark ages. Not very much interest in Ancients, so I think I'll just leave it at the Greco-Roman temple from last ishoo for the moment. By the way, I've just gone and caught model railways again, so it might be a while before the next ishoo. We shall see. Improving the breed... even more! The final poll in the three part series I've been running to help make some decisions about improving the blog is now up - this time I want to know what eras you play. I've kept things fairly general - you'll notice it goes straight from 'Napoleonic' to 'Renaissance' - this is partially to keep it simple, and partially because the type of terrain used doesn't evolve all that quickly. Please vote - I'm going to base my decisions on future projects on the poll. As part of my on going quest to make TFH even better, I've been playing with some ideas for new features of the blog. Rather than just unilaterally add whatever the hell I feel like, I thought I'd see how much interest there is in some of these ideas. One benefit of some of these new features is that they will mean I post more frequent updates. You know all those long stretches where no terrain get's built? 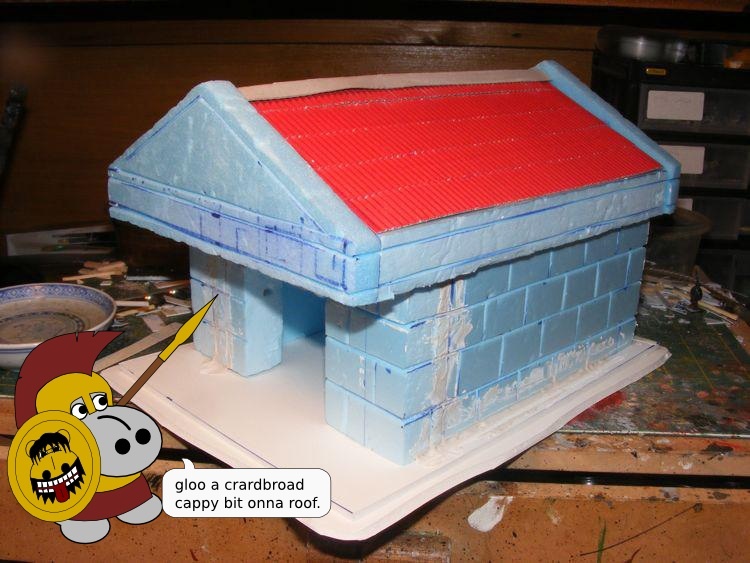 Usually those are because I am painting or modelling something else, not that I have given up on my hobby all together or I just cannot be bothered with terrain. Anyway, here are the ideas. You can vote on them on the poll at the top of the blog, but I thought a bit more explanation might be helpful. 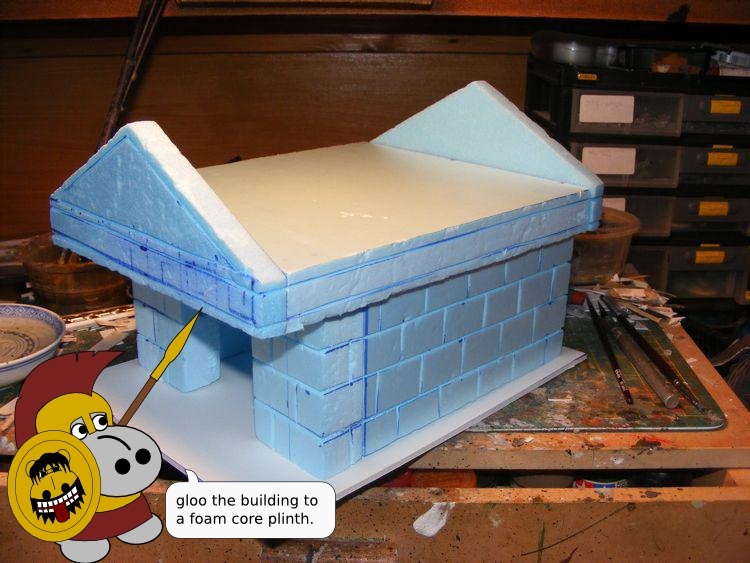 This would be a semi-regular series of pictorial articles, just like the main terrain ishoos, but dealing with all aspects of modelling. Now I do not claim to be the world's greatest modeller, but I thought people'd be interested in seeing how I build some of my things. I've got a few ideas for articles already; making Kislevites, scratch building 15mm vehicles, and scratch building vehicle accessories in 40K to name a few. Again, this would be a semi-regular series about painting. Again, I do not claim to be any good at painting, but I figured it might be good for those who are just starting out. I thought I'd concentrate on beginner level sort of stuff for this. I don't have any really definite plans just yet on content, but I certainly want to handle 15mm figures. Any of you read the Battle Of Champignon report over on The Hoodling's Hole? I wrote that. Well, the battle part anyway. There are a lot of people out there posting battle reports on their blogs, so why not me? Okay, I am one of the worst wargamers in the history of the universe (this is not fashionable self criticism, I am genuinely terrible at the game part of the hobby! 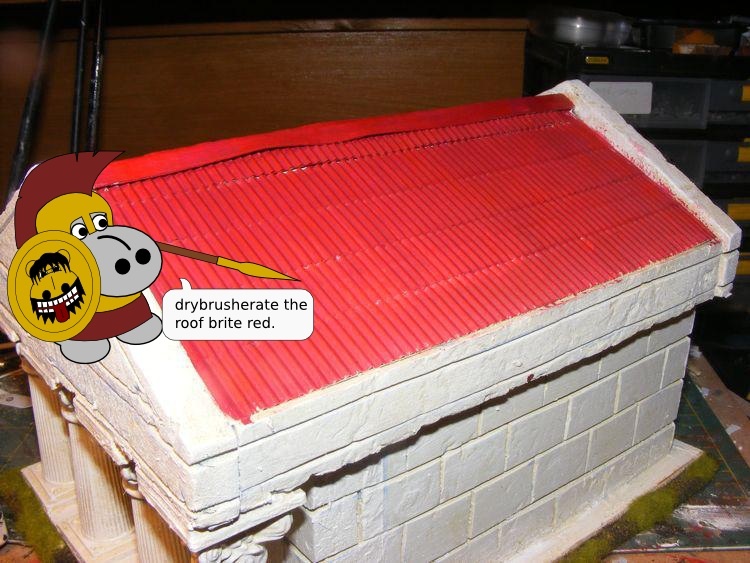 ), but I'm sure I can knock out some entertainingly off-beat reports and generate plenty of pretty pictures of my terrain and figures in use. 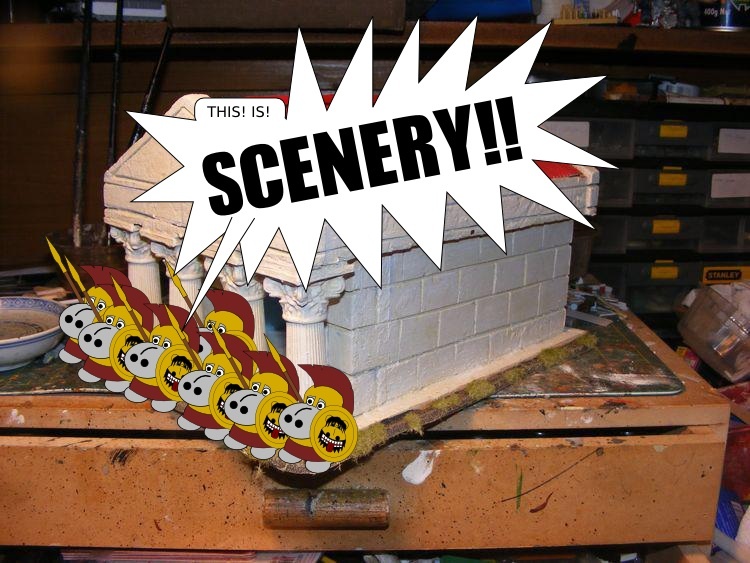 Fairly self explanatory this one, I figure a lot fo you guys and girls out there are wondering just what the finished terrain looks like in detail and in action. So I figure I'll try to post more pics of it. I'll also try to post more pics of other projects; conversions, scratch builds, and any other modelling project which gets in the way of the flow of ishoos. Please take the time to vote; I'm using this data to make the blog as good as it can get. It;s a multiple choice poll, you can vote for any number of options. There'll be a new poll up in a week or so about what eras you play so I can try to tailor the terrain output to the readership. Please vote on that one too! Until next time, Hippo fans! The LSCWC painting contest is over and the results are in! Welcome back hippo fans! It's been a while since an ishoo has gone live, mostly due to the enormous distraction potential of 15mm SF figures, but rest assured, we have not been idle. Well, no more idle than usual. 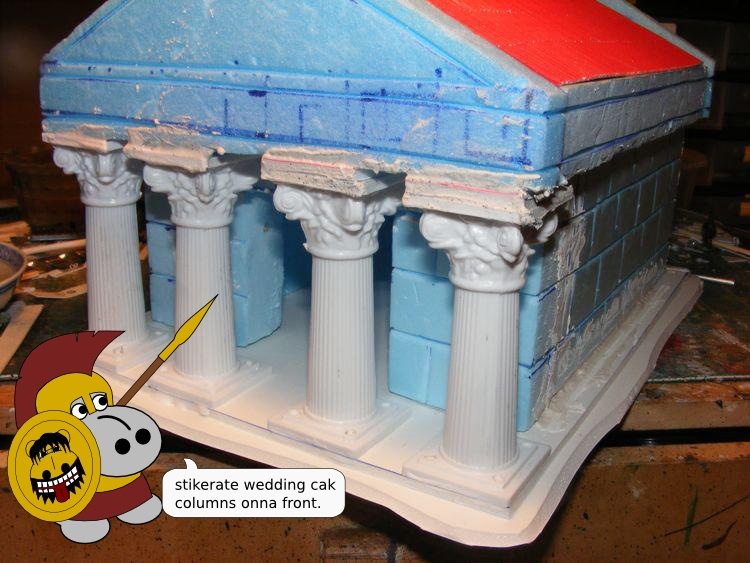 One of the classic images of historical wargaming is the Greco-Roman temple, and thanks to the wedding cake industry, it's really very easy to build one! 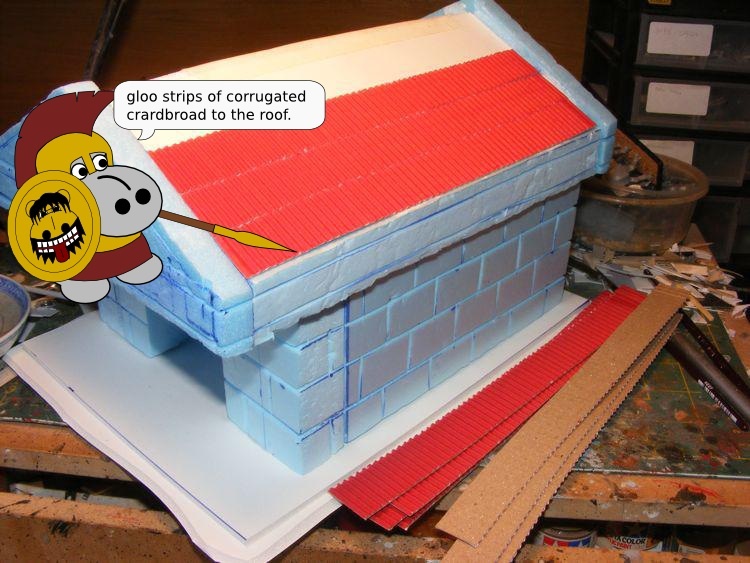 Why not follow along as Grot explains? And there you have it Hippo Fans! You can buy wedding cake pillars from many larger craft shops (Spotlight and Lincraft both carry them) or specialty cake decorating shops. They come in several sizes and styles. 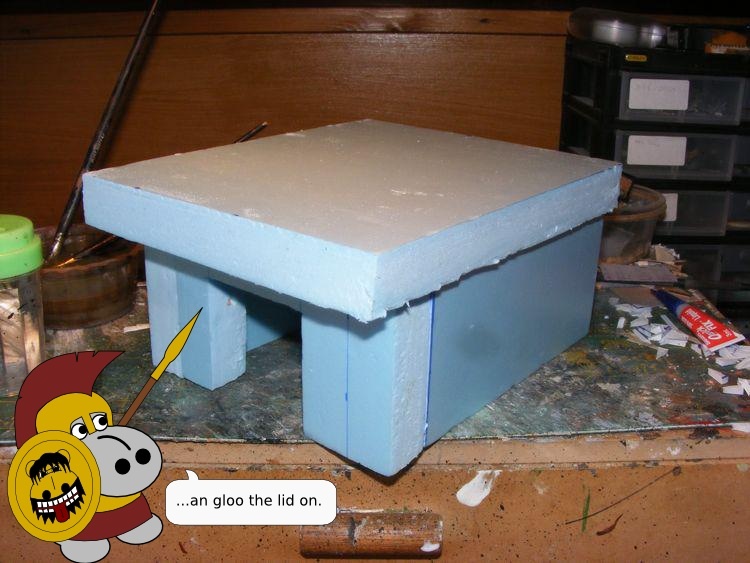 Stay tuned for next ishoo where we tackle the Levitating Altar! Oh, by the by, as part of my on going attempts to make the blog even better, I'm running a poll on what scales people play. This will help me make the decisions about what scales to build things in. Please take the time to vote - you can specify as many scales as you like. I've missed out some scales - those are the ones that are either fairly close to others, or I am not willing to tackle! As you may know, I teach at a secondary college, and somehow I've talked them into letting me run a wargames club on Friday lunchtimes. For the last three weeks, I've been teaching a motley crew of 12-14 year olds how to paint, and now we're having a competition! If you go to the LSCWC Blog, you'll find all ten entries, and YOU get to be the judge by voting on the poll! The importance of durable bases. We got some new white boards at the school where I teach, and the polystyrene sheets they were shipped in have been sitting in my office for a while. It's 10mm low density white stuff, about four by six feet. I've been trying to think of a use for it, but so far I have not yet had any really good ideas. I mentioned the stuff to one of my students, an avid member of the school wargames club, and he asked if he could have some. So I cut him some pieces small enough to fit his bag, and sent him on his way. 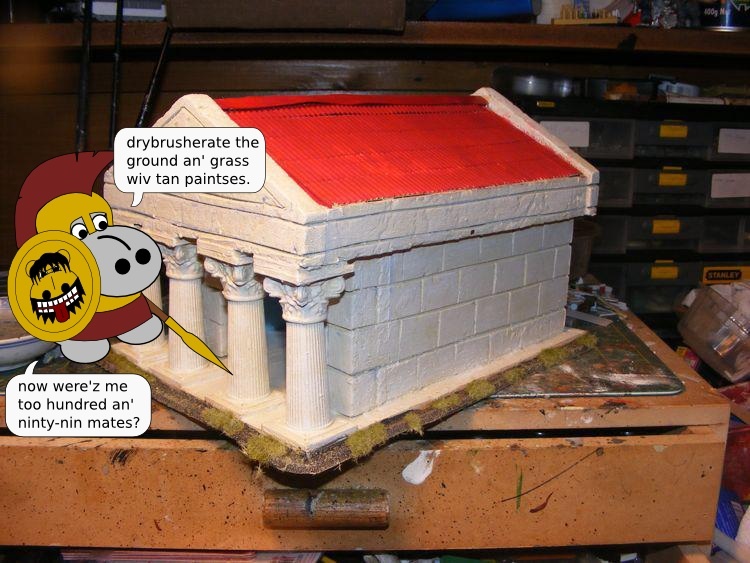 This morning I asked what he was planning to do with it, and he said he was going to use it to make bases for terrain. This got me thinking. 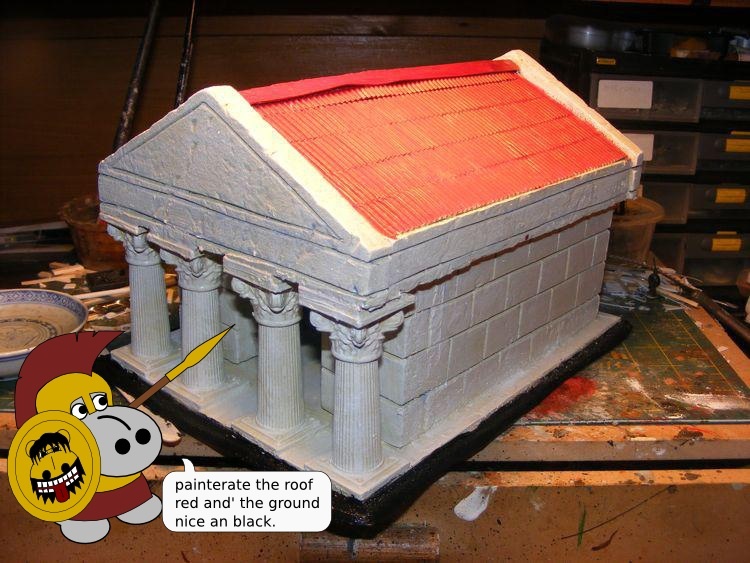 Years of experience have shown me that low density polystyrene doesn't make for good basing material. It's far too fragile,and tends to break up. 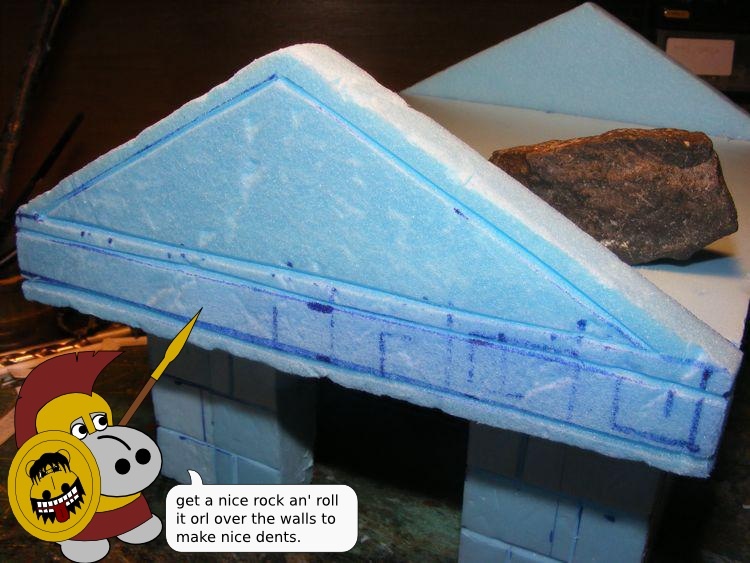 Looking at the bottoms of any of the hills at my games club bears this out - they are all made from sheets of low density polystyrene, and all of them have ragged chunks missing from the bottoms after leading a hard life in the club terrain stash. 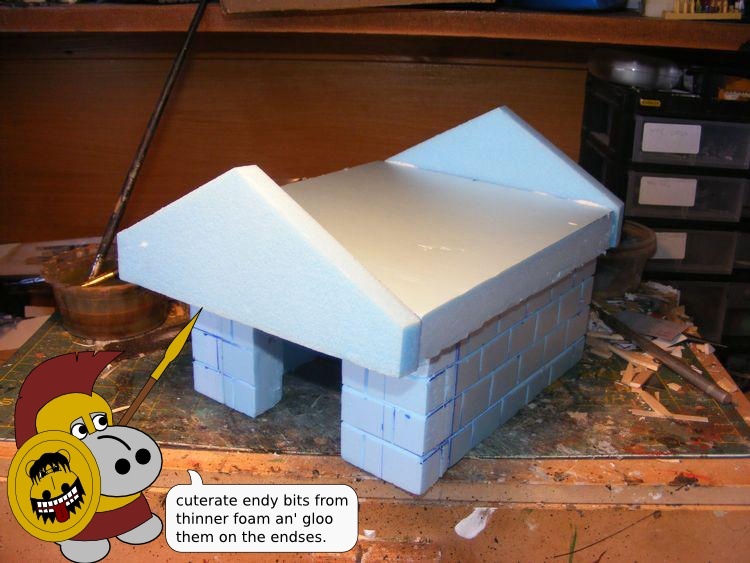 But when you're just starting out, making a base from polystyrene sheet makes sense, it's so easy to shape! So I figured I'd put up an article about ensuring that your bases are sturdy enough to survive, and durable enough to see you through years of carnage. 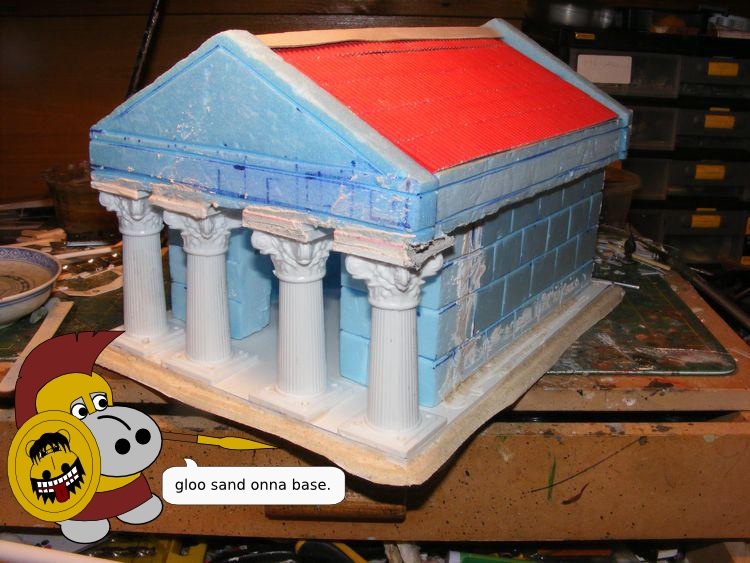 And believe me, terrain needs to be sturdy, the base especially. Bases take a hell of a beating on any terrain item. They need to be tough, and they need to be made from something which doesn't warp. Corrugated cardboard is very tough, but it does warp. If you don't have anything else, you can minimise warping by using two layers with the corrugations running cross-wise. 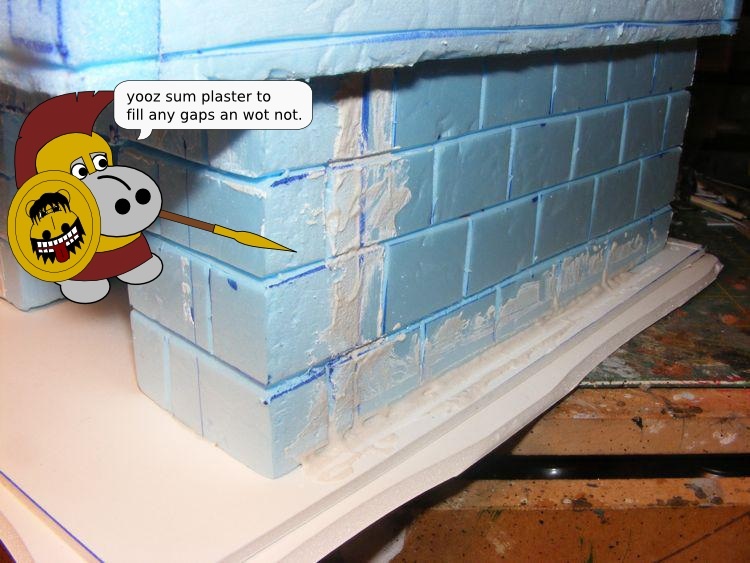 Foam core is also very tough, but the edges can get a bit knocked about since they really are just polystyrene. 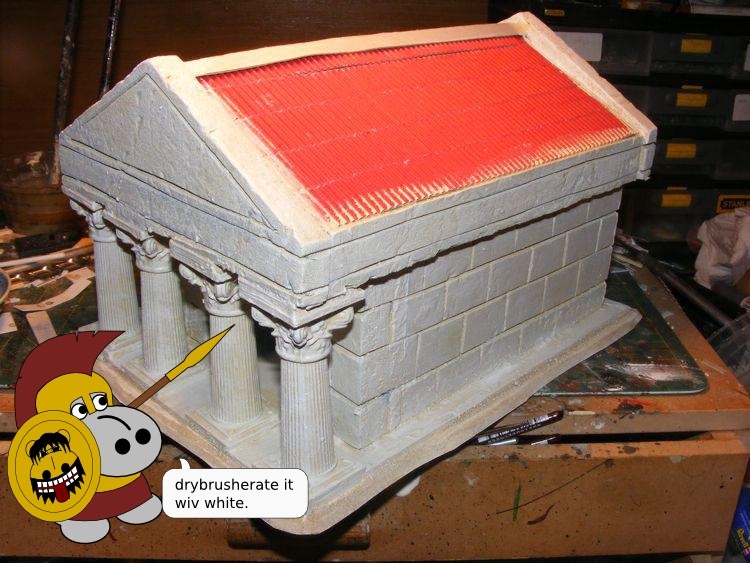 You can try to minimise this by painting the foam parts with PVA glue, but you'll almost inevitably get dents with rough handling and poor storage. If you take reasonable care, you won't have a problem. Then there's MDF, which is also known as Craft Wood. This stuff is very tough. 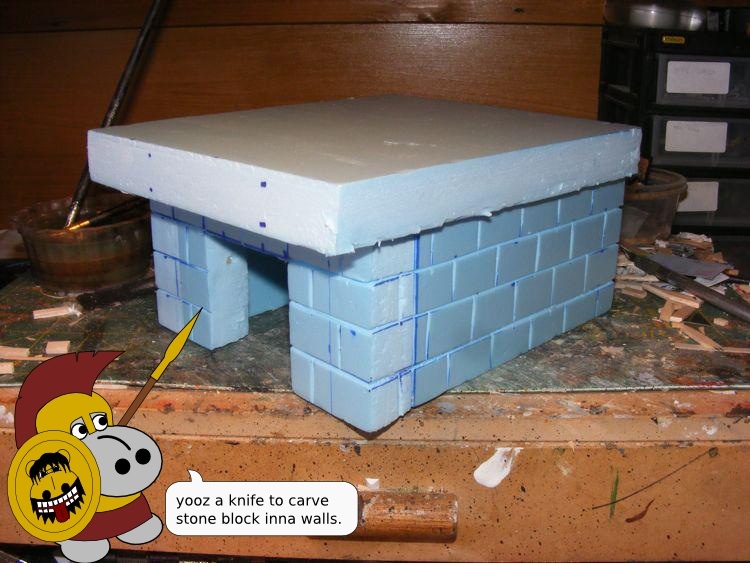 Of course, you will need a saw to cut it (or a sharp knife and a LOT of patience!). It's available in a range of thicknesses, and you can usually get smaller panels from your timber yard if you don't want one of the full 4X8 foot panels. Most places will actually cut wood to size for you free of charge. 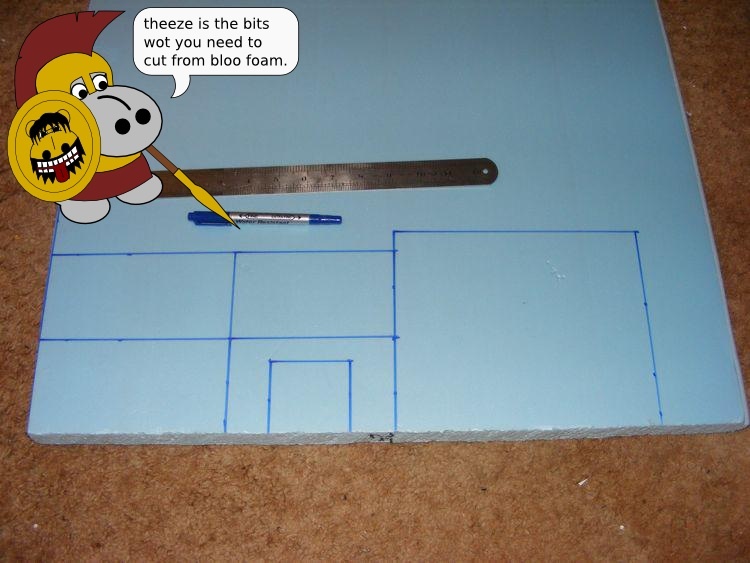 MDF has the disadvantage of being more expensive and a bit harder to work with. It's also pretty heavy, so stacking terrain pieces on top of one another may lead to a bit of squishing. 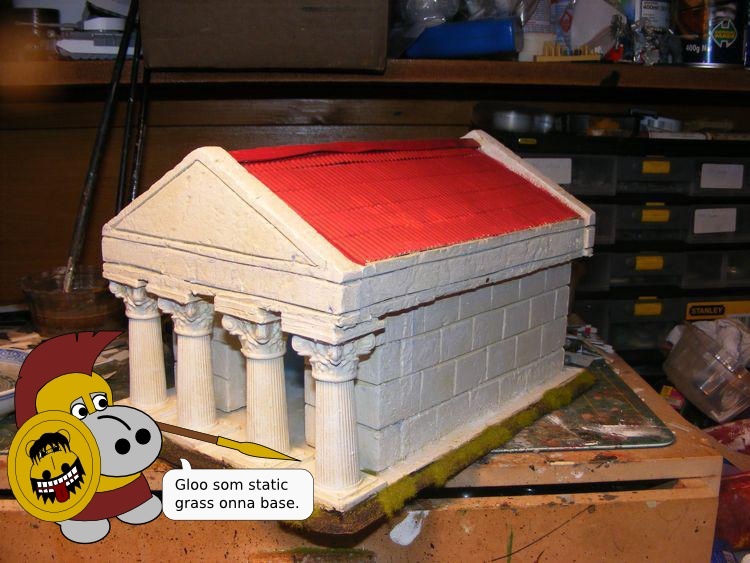 You can use polystyrene for a base, but only the high density version will really work. 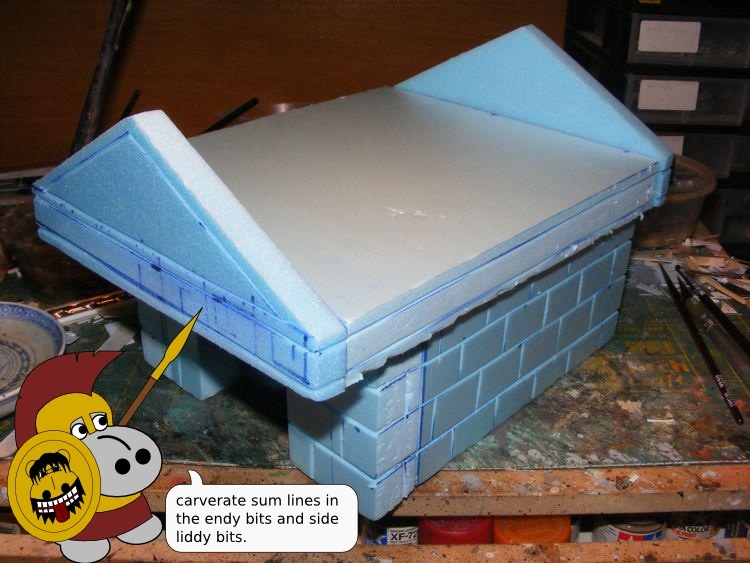 Even then, you will probably find the edges crumble a bit if you have beveled them. 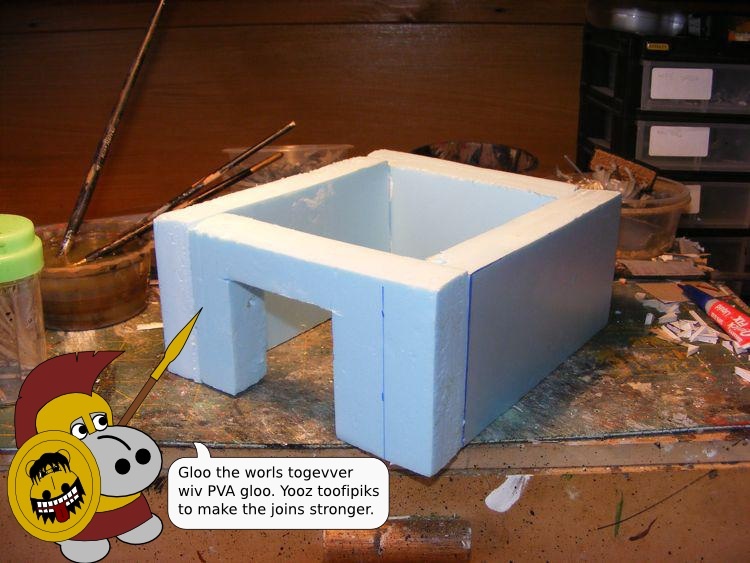 A good way to prevent this is to add a bottom layer to the base made from foamcore, cardboard or MDF. 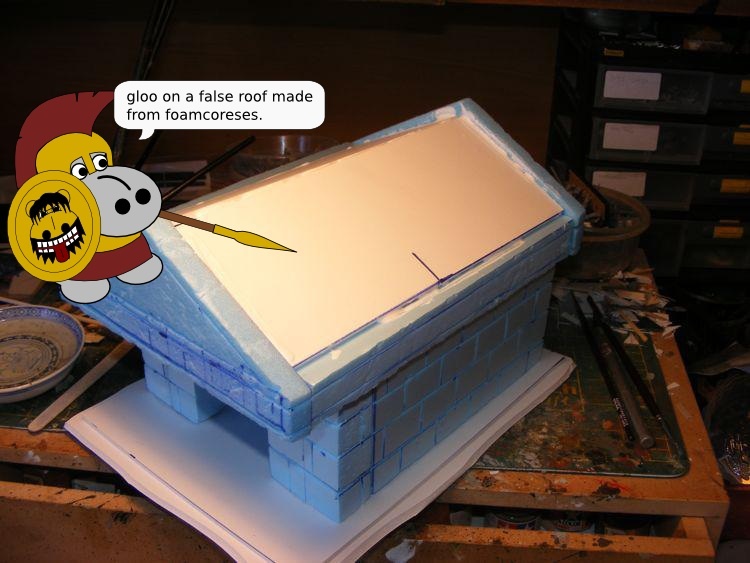 This will mean the polystyrene is less exposed and less likely to get damaged. 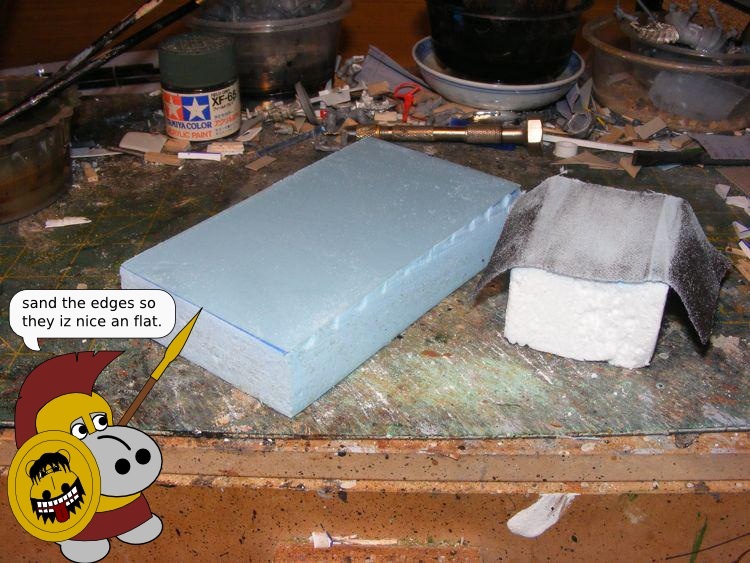 Of course, polystyrene sheet is great for making terrain tiles and boards, but some care must be taken. 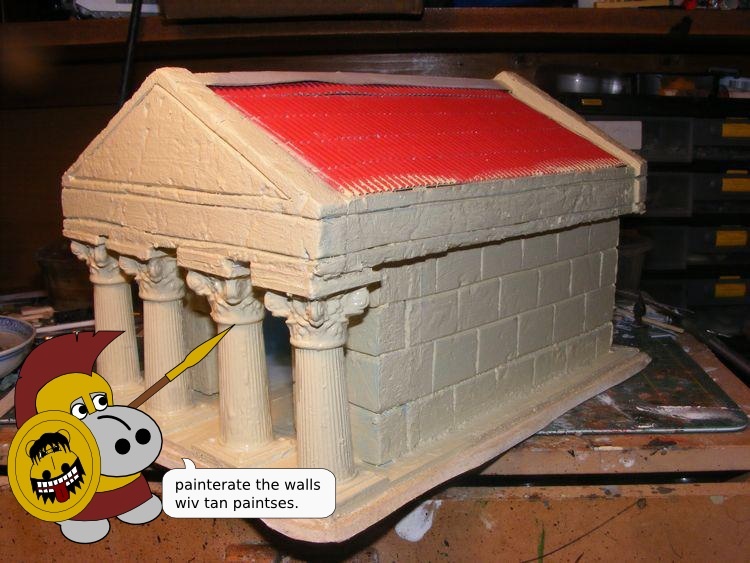 On my Portheim tile set, where the edges of each tile were designed to be part of a sea wall, I painted the edges of every tile with PVA glue to add an extra layer of durability. If you will never see the edges, a good trick is to either cover them with gaffer tape, or add a wooden frame around the outside of each tile. 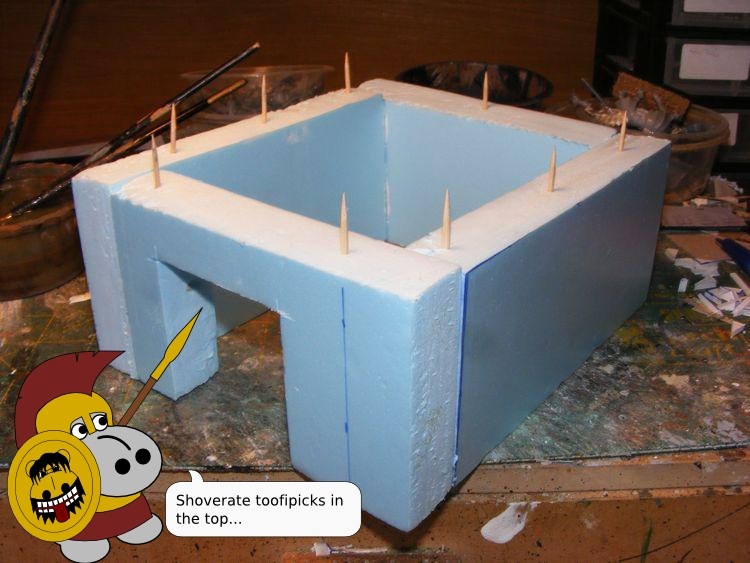 You should also think seriously about gluing MDF to the bottom of each tile. One final option is to use a CD for a base. This limits you to a disc about 12 cm across, but they are VERY hard to damage. 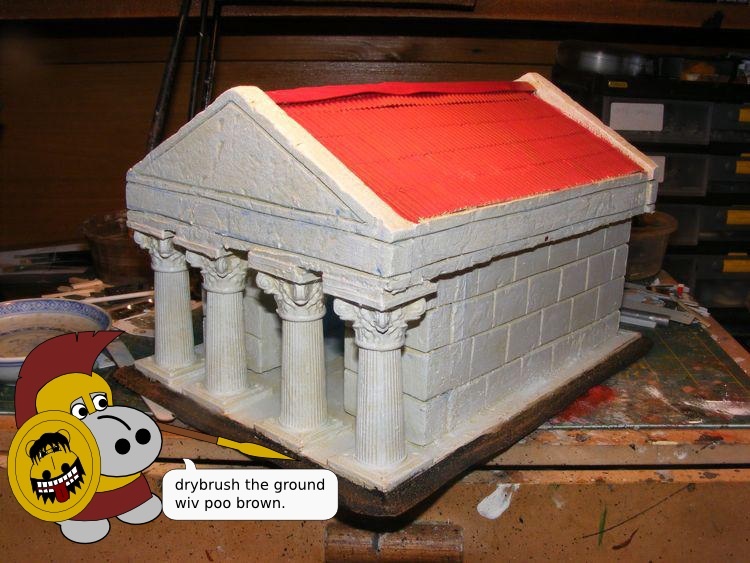 It's actually a very enjoyable challenge working out a whole terrain feature to fit onto a CD. 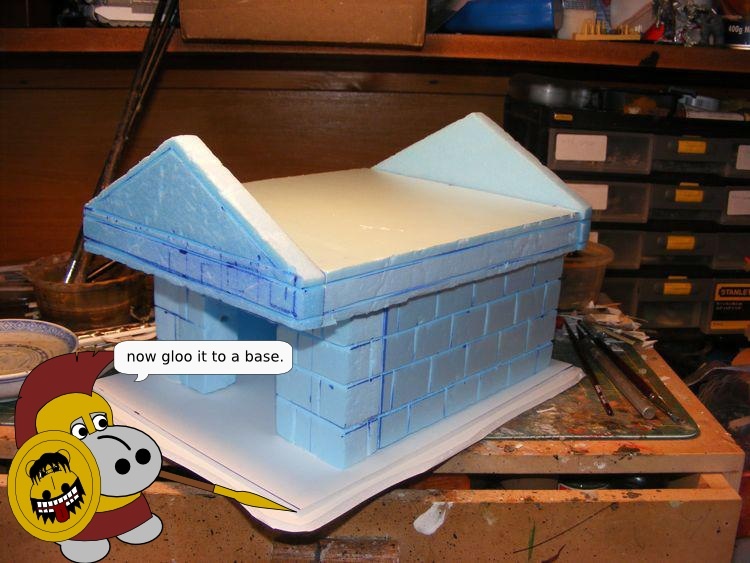 Making your base as tough as possible will really help to make sure your terrain stays in peak condition as long as possible, but always remember to store your terrain carefully. Even the mightiest MDF base will be wrecked if you insist on kicking it around the room before throwing it in the swimming pool after all.